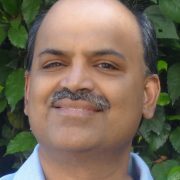 I am a member of the Programming Languages and Tools Group at Microsoft Research India. I was a graduate student at the Computer Sciences Department of the University of Wisconsin – Madison from 1987 to 1993, where I completed my Ph.D. under the guidance of Prof. Thomas Reps. From 1993 to 2006 July, I was with the IBM T.J.Watson Research Center. I am now with Microsoft Research India in Bangalore, India. My interests include: Programming languages, Programming tools, Static program analysis, Formal methods, Software verification, Concurrency, Distributed programming. Co-Organizer, Dagstuhl Seminar on Aspects for Legacy Applications, 2006. Program Committees: POPL 2017 ERC, ESOP 2017, APLAS 2016, ECOOP 2016, NETYS 2015, POPL 2015, VMCAI 2013, FSTTCS 2012, ATVA 2012, SAS 2012, ECOOP 2012, PLDI 2012 ERC, SAS 2011, FM 2011, POPL 2011, VMCAI 2011, PASTE 2010, APLAS 2009, APLAS 2007, EMSOFT 2007, CC 2007, SAS 2006, FSTTCS 2005, SAS 2005, CC 2005, SAS 2004, SAS 2002, POPL 2000.